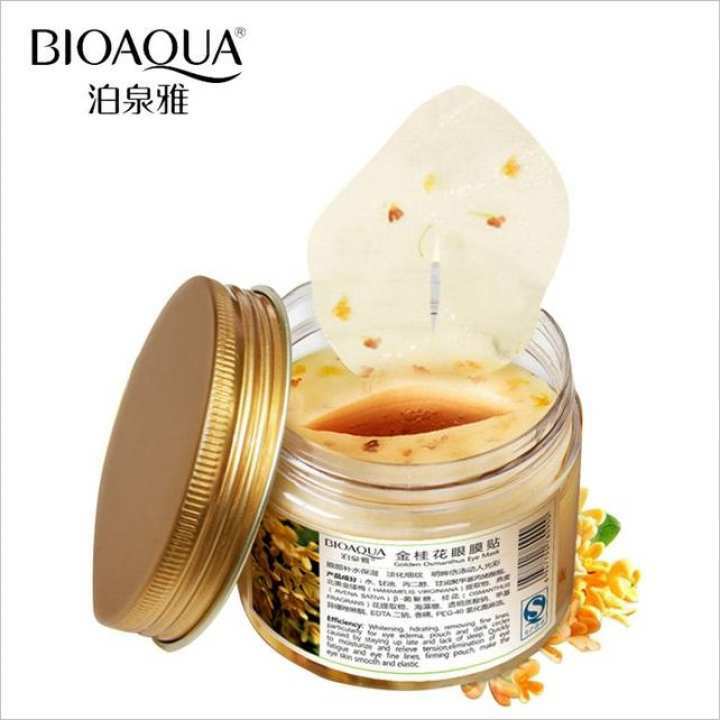 It contains rich osmanthus alcohol, nourish the eye skin; gold osmanthus essence, to help improve the eye dry, add water that the eye required to prevent eye skin produce fine lines due to dry. After cleaning the skin, attach the eye mask around the eyes, gently press with your fingers to make it more docile, peel the mask off after 10-15 minutes, gently massage the eye, no need to clean. ata use krl sure dag chola jbe? ?